An important, but often overlooked, performance upgrade is an engine oil cooler kit. And a GREX Oil Cooler Kit is the best choice you can make. No matter how excellent the engine oil; on turbocharged or high performance engines, during performance driving conditions, with wide open throttle and high RPMs, the engine oil temperature increases dramatically. Increased oil temperature will cause a loss in pressure and will decrease the oil's ability to properly lubricate your engine. 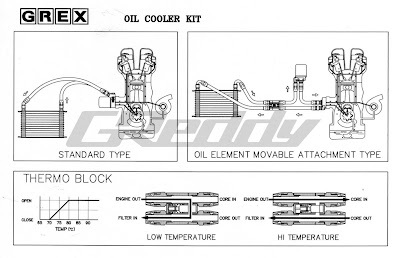 In order to protect your oil, engine and turbo from these conditions, the installation of a GReddy oil cooler is a must. That's 16.2 C (61.16 F) cooler on the highway and 23.4 C (74.12 F) cooler on about a 1/4 mile run. Quite a big difference! But, decreasing the oil temperature is not the only important factor. Similar to intercoolers, minimizing the flow restriction and maximizing the heat transfer is critical compromise in oil cooling. 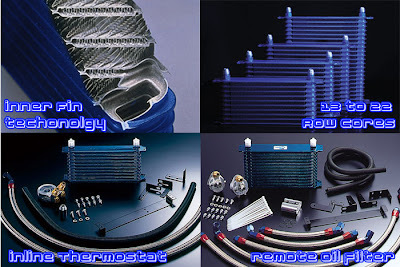 To achieve a high heat dissipation and minimal pressure drop, the GREX oil cooler kits utilize a high capacity GREX core with our unique "off-set" internal fin design and large -10 Earl's AN fittings and steel-braided lines. Various core sizes help us match up the best characteristics for each application. 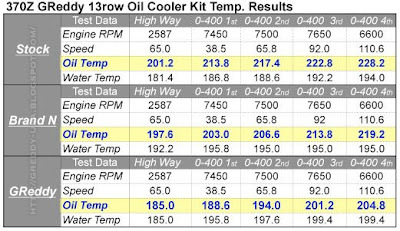 Another key feature on a GREX Oil Cooler Kit is our included thermostat. To maintain constant oil temp and quick engine warm up, a free flowing thermostat is incorporated inline on the oil block adapter for the standard type and on an external unit for the remote oil filter type. The valve is shut below 70 C (158 F) and smoothly opens completely at 80 C (176 F), to insure optimal oil temperatures. GREX is a product brand of GReddy's engine componet line. 20Gs for the IT 370Z! Dai's Driving Academy 2 @ El Toro. Tuner's 370Z Oil Cooler Kit and Turbo Ti-C done. 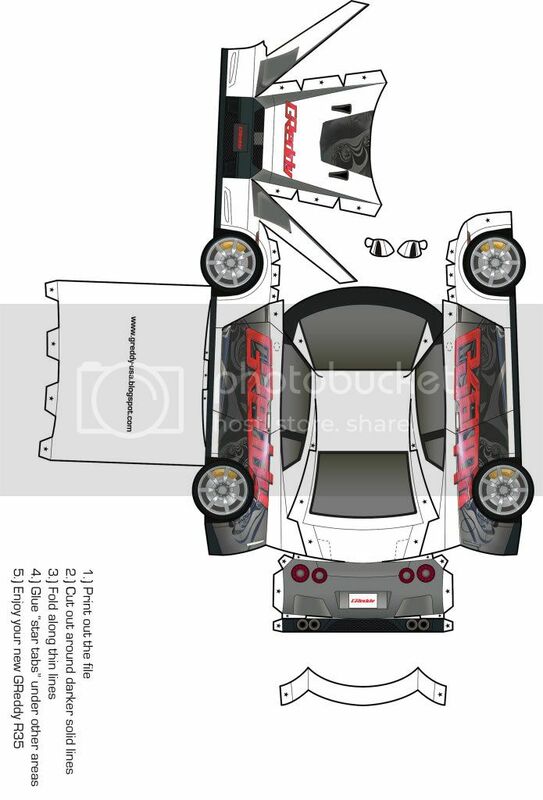 Working hard on the IT 370Z Project.